That’s a big rock. 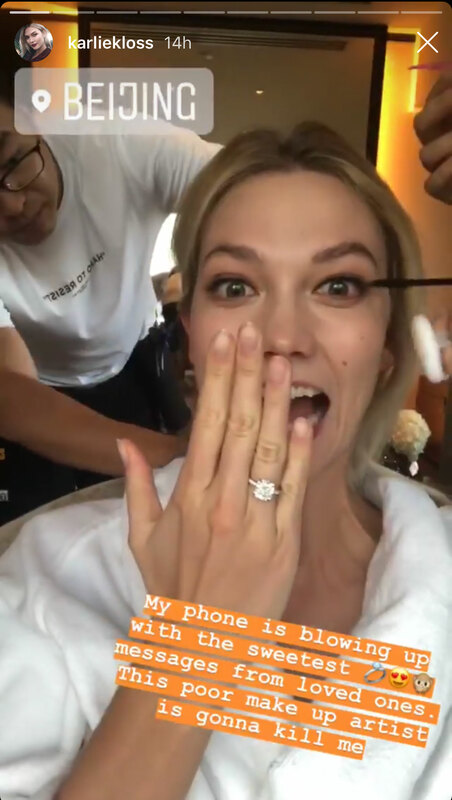 Supermodel Karlie Kloss reserved her engagement ring reveal for family members and friends after announcing on Tuesday, July 24, that she’s engaged to real estate mogul Joshua Kushner. Following the newly-engaged couple’s romantic getaway to Italy’s Amalfi Coast, Kloss then flew off to Beijing, China, for work, where she was able to play catch up with family members and friends. 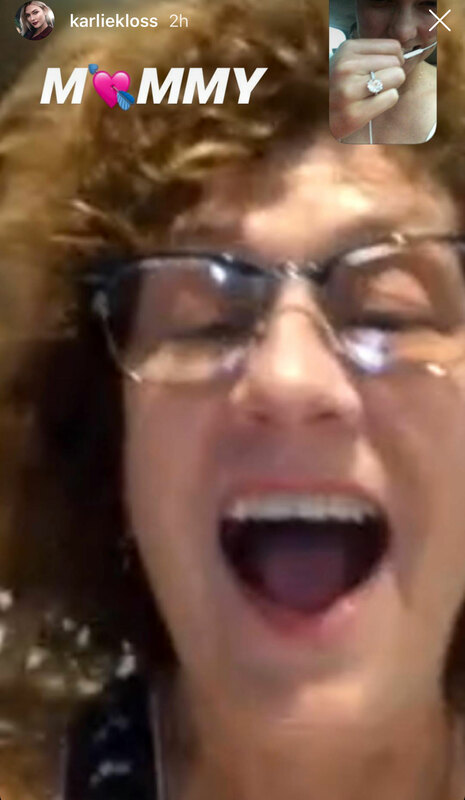 While getting primped for a shoot, Kloss FaceTimed a set of her loved ones—a sweet mix of her childhood friends and her celeb pals, along with her mom and her grandmother. 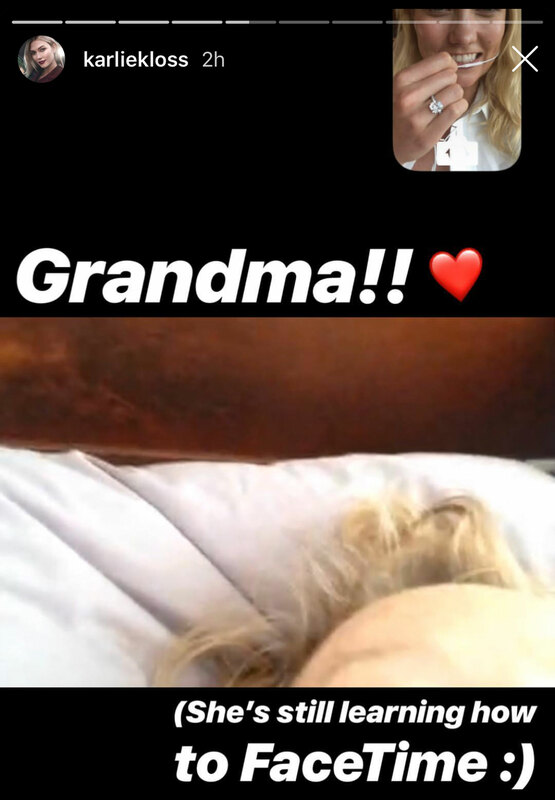 “My phone is blowing up with the sweetest messages from loved ones,” Kloss captioned a video. “This poor makeup artist is gonna kill me.” In the clip itself, Kloss flashes her beautiful, cushion-cut sparkler, which is set on a thin, gold band. 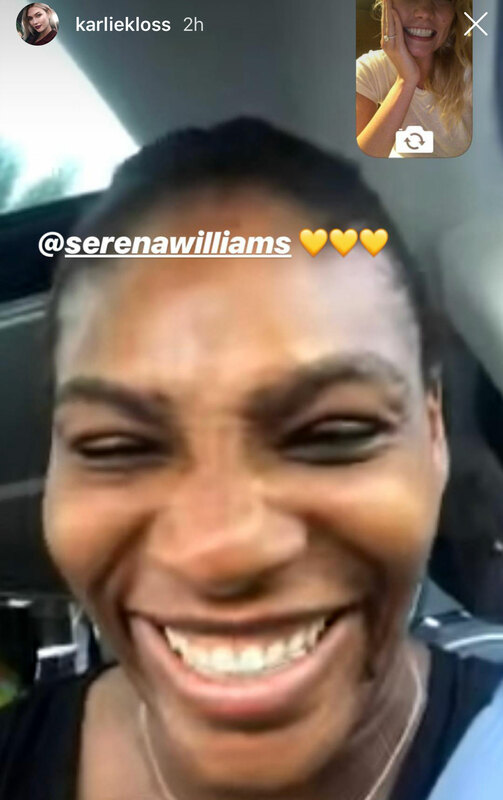 She then posted screen grabs of her conversations with people, including Princess Beatrice and Serena Williams. According to People, the pair got engaged in upstate New York several weeks ago, though they only chose to announce the news this week. The pair dated for six years before the engagement. Kushner, the younger brother of Trump senior adviser Jared Kushner, is the co-founder of health insurance app Oscar. Be the first to comment on "Supermodel Karlie Kloss Reveals Her Engagement Ring From Josh Kushner"